lets you easily check your Google Calendar for upcoming events and add new events from the websites you visit. For example, if you see an icon with a green plus sign on sites like Facebook or Evite, you can add the event to your Google Calendar. It will also show a map if it detects a location associated with the event. The Web Clipboard extension allows you to copy and paste text and images easily with the Google Docs clipboard. This means that all the web content that you copy and paste is stored in the online clipboard so you can access it quickly and easily across multiple browser windows. To stay on top of your favorite videos, YouTube Feed notifies you whenever new videos are available in your YouTube homepage feed. You can directly access videos that your friends uploaded, rated and liked right in your browser. And there’s more! Other Google extensions like Blog This, Google Calendar Checker and News Reader have been updated with new features like enabling special characters in blog posts, support for multiple calendars and custom news feeds. These are just a few extensions that enhance your experience with Google products. With more than 8,000 extensions to choose from in the gallery, you can find the right extensions to complement your favorite Google products. We've been thrilled to see many useful Chrome extensions created by developers around the world. Similarly, Googlers have been very enthusiastic about creating extensions that allow users to add features to their favorite Google products. We have a handful of new extensions in the gallery that we're keen to share with you, including new official extensions for Google Calendar, Google Docs and YouTube. For those of you with busy schedules, the new Google Calendar extension lets you easily check your Google Calendar for upcoming events and add new events from the websites you visit. For example, if you see an icon with a green plus sign on sites like Facebook or Evite, you can add the event to your Google Calendar. It will also show a map if it detects a location associated with the event. PDF is a popular file format that’s used for delivering documents on the web (such as the IRS W-4 tax form). To open a PDF document, you’d typically need to install additional software or a browser plug-in in order to view it in a web browser. With the integrated Chrome PDF viewer now available in Chrome’s beta, you can open a PDF document in Chrome without installing additional software. The PDF document will load as quickly and seamlessly as a normal web page in the browser. 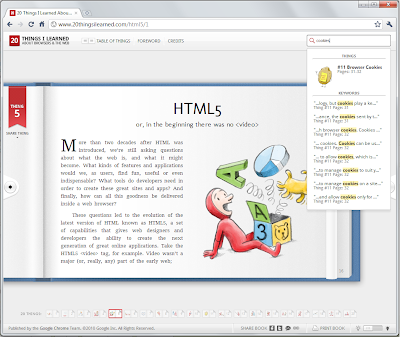 Just like we do with web pages viewed in Chrome, we’ve built in an additional layer of security called the “sandbox” around the Chrome PDF viewer to help protect you from malware and security attacks that are targeted at PDF files. For now, the Chrome PDF viewer is available only in the beta channel, but we look forward to adding more polish and features, as well as making it widely available in the stable channel soon. With every Google Chrome release, we hope to bring new features and improvements that will make your life on the web speedier, simpler, and more secure. 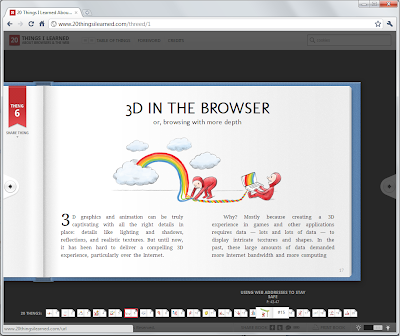 Today, we’re excited to introduce the integrated PDF viewer to the beta channel.